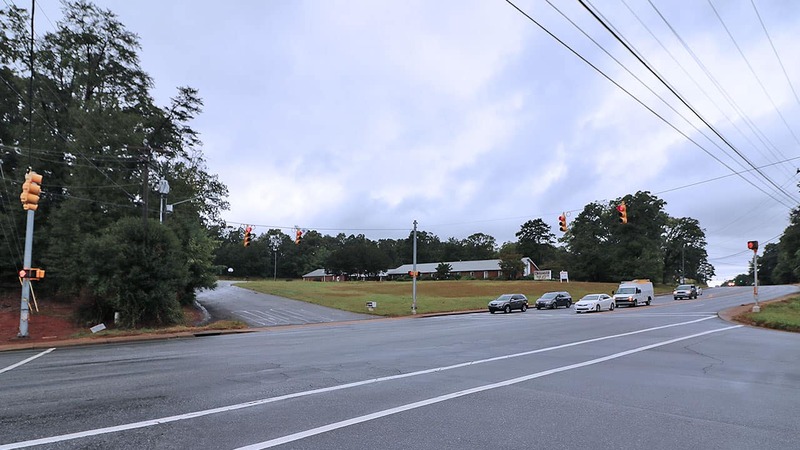 Hip Grocery Store Chain Lowe’s Foods is setting it’s sights on Pelham road for a 3rd location, with construction starting up in the spring. It’s just down from the main drag on Pelham, across from the QuikTrip, currently the site of an old church. If you’re not familiar with Lowe’s foods, it’s a very modern and artsy version of a grocery store, kind of like whole foods. Around the perimeter of the store they have these sort of mini storefronts, that offer different items, similar to how a grocery store would have a meat counter and a bakery, but at Lowe’s, each one has it’s own little design to make it stand out. They also feature a “Beer Den” where you can fill up growlers, or purchase a beer to drink while you shop – how cool is that? If you live near pelham road, you may have already been to the existing location out near riverside high school. There is also a new location that opened up at Five Forks in Simpsonville. We definitely recommend you check one of those out if you haven’t already. No exact timeline of when the new location will be open, but they’re not starting until Spring 2018, and probably 6-8 months of construction, so we’re looking around the end of 2018, but we’ll keep you updated once we get a little closer.